there isn't a thing that could have had me prepared for keats house. the weather being what it was, i jumped rain drops until i tired of them and let myself get soaking wet. a thing you'd never do at home, but when traveling, one finds oneself prone to bizarre if impermanent habits. i'd planned a whole different day, including the heath, and even waterlow park, descending from highgate, but blistered foot soles decided against too much loitering. flask walk is supposed to be a picturesque alleyway, one of many in hampstead. and boy, does it deliver. 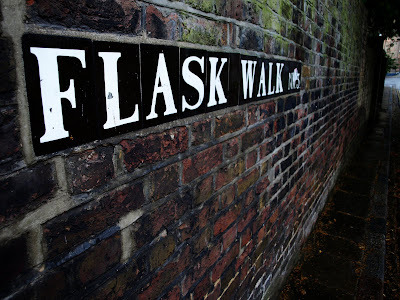 even under a dull grey heaven, the vibrant colours of painted doors, the ancient cobbled streets and the relative quietude of a saturday afternoon spent lazily indoors by inhabitants, the walk to keats grove, where i hope to join my late friend, the poet, is a joyous one. as i am nearing the gardens i hear the romantics troup exclaiming stage lines. i'd hesitated to take part, but was now glad i could just drop in through the back door. the lady in charge smiled, genuinely happy to welcome another customer. because of the racket outside, inside john keats former premises the cool bursts from the flowered walls, passionate echos jumping straight into my lap, fanny brawne's stitched past coming to life. there is an embroidery exhibition on too, scattered throughout the house. the rain dissipates temporarily, as i stand on the terrace, listening to passionate words spoken by a welsh guide, who'd accidentally been to belgium before. ostend, it'd been. oh, yes, he'd liked the beer, very much, thank you, yes. but the man's affection does squeeze my wavering heart, as he determinedly drags me around the dwelling, pointing out a much requested and now recuperated original letter by keats, drawing my attention to the elegantly designed, burgundy engagement ring fanny brawne wore, until the very day she died. how can one not trip, how does one not falter, when in a place where words were once spoken, carefully and devotedly? i am genuinely sorry, dear reader, not to be able to show you the rooms. they are a tad secretive about them, in hampstead, no cameras allowed. they're supposed to be here. go and have a peek. perhaps a listen, for the audioguides on the site are downloadable. 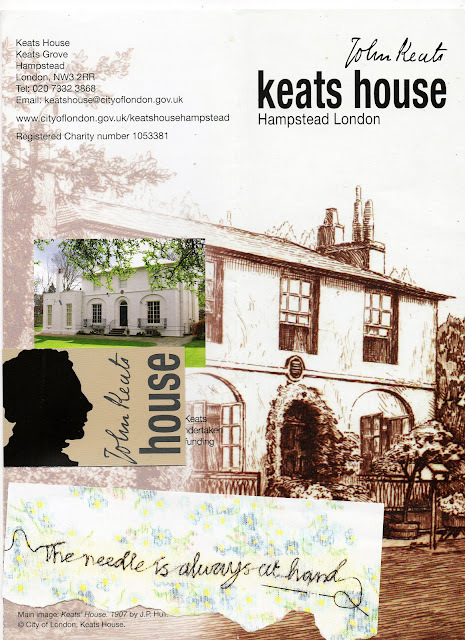 I can breath Keat's aura... thank you very much for photos of Keat's house, your story... link. Wonderful pictures the sun room and your poor foot! I would love to go there and say hello to Keats! 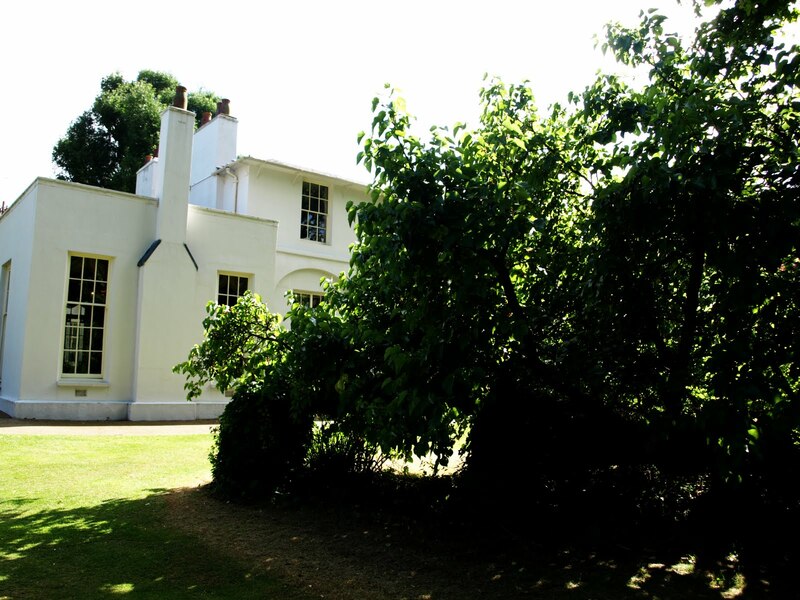 Meanwhile, your photos and narrative gave me a glimpse into Keats House, and I loved every minute of it. 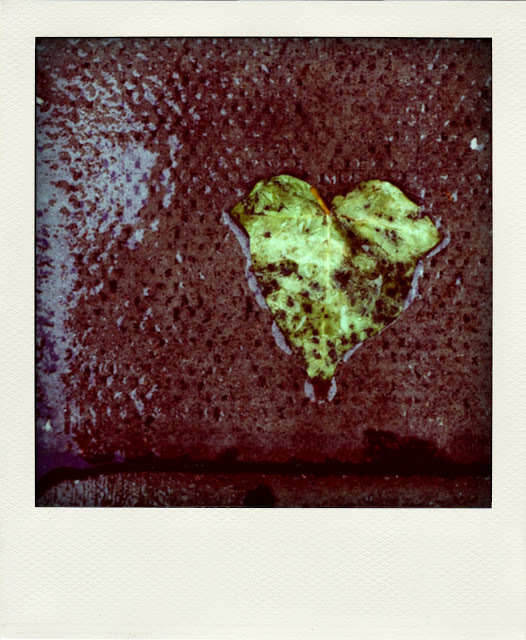 Especially that photo of the leaf. It's magical. A beautiful day. I know what you mean when you speak of those bizarre if impermanent (travel) habits. Somewhat challenging, but liberating too.